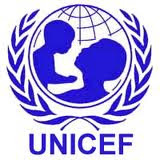 The United Nations Childrens Fund (UNICEF) has said its not deterred due to attack on Friday of its humanitarian convoy in the northeast Nigeria, reports NaijaAgroNet. Chief of Communications, at UNICEF Nigeria, Doune Porter, said aïd has continued to assist millions of conflict-affected children in northeast Nigeria, despite the attack on a humanitarian convoy. As a result of the attack, in which one UNICEF staff member was injured, travel by UN staff to high risk areas has been temporarily suspended. UNICEF has called on donors and humanitarian organizations to scale-up the response to the emerging disaster in Borno state, which is the most affected by the conflict with Boko Haram. Before the attack, security conditions had been improving in several areas. UNICEF estimates that 244,000 children will suffer from severe acute malnutrition this year in Borno state alone and if they are not reached with treatment, one in five of them will die. UNICEF has provided two million people with health services and treated 56,000 children for malnutrition in the three conflict-affected states of northeast Nigeria. A quarter of a million people have improved access to clean water, and over 200,000 children have been able to go back to school. Despite the temporary suspension of travel to high risk areas, UNICEF plans to scale-up its response in Borno state substantially. At the beginning of the year, UNICEF appealed for US$55 million for its emergency work, of which US$23 million has so far been received.